Most parents are thrilled to learn that their child has found love and is planning to get married, but we wonder what the average American parent would feel like if their daughter was about to marry into the British royal family. Well, for the first time ever, two American parents are experiencing that feeling and Markle’s dad had the sweetest words about his daughter’s royal engagement. Last month when the couple announced their engagement, both Markle’s parents, Thomas Markle and Doria Ragland (who are divorced) provided a statement that was released through the palace. “We are incredibly happy for Meghan and Harry. Our daughter has always been a kind and loving person. To see her union with Harry, who shares the same qualities, is a source of great joy for us as parents. We wish them a lifetime of happiness and are very excited for their future together,” read her parent’s statement. Markle’s mother has also remained tight-lipped outside of the official statement, but we’re sure she’s deeply happy for the couple. 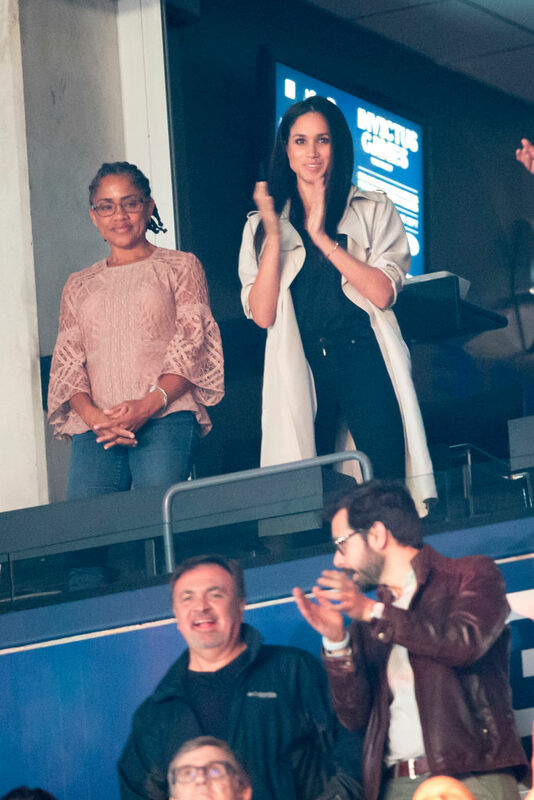 She was spotted attending the Invictus Games with Meghan back in September 2017. Harry and Meghan’s wedding will take place at St. George’s Chapel at the Windsor Castle in May 2018, and will reportedly be small, or as intimate as a royal wedding can be. The venue reportedly holds 800 people, compared to the 2,000 who attended Kate Middleton and Prince William’s royal wedding in 2011.